Talk about star treatment. 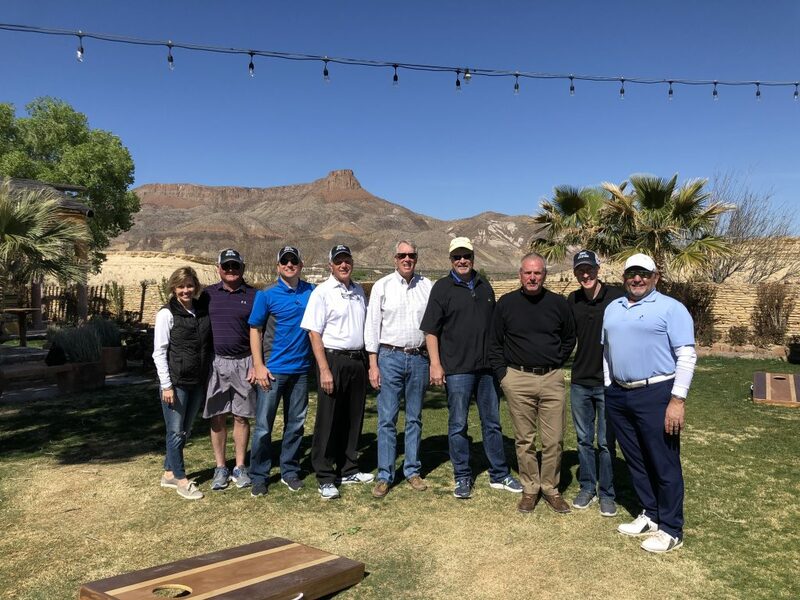 The Lajitas Golf Resort rolled out the red carpet for the 2019 Texas Top Aviation Lajitas Fly In. I had been to Lajitas twice before; once in July when it was hot, miserable and bumpy. The second time was the week before our Fly In. Both times, everyone from the airport folks to the bus drivers to the front desk and restaurant staff were top notch. It made for a very pleasurable experience. 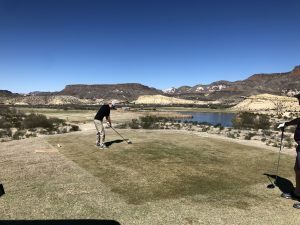 If you haven’t been out to Lajitas (or don’t even know where it is) and you’re a pilot (you don’t even have to play golf), you have missed a sure gem. Lajitas is positioned on the southern tip of the Big Bend area of Texas, right on the Rio Grande river. Lajitas has great lodging with several different room options from big to small, an excellent restaurant for 3 square a day (and even a bakery for sweets, coffee, and breakfast tacos in the mornings), and a 5 star golf course in Black Jack Crossing. Why is this all relevant to us aviators? Lajitas has it’s own private airport, 89TE. 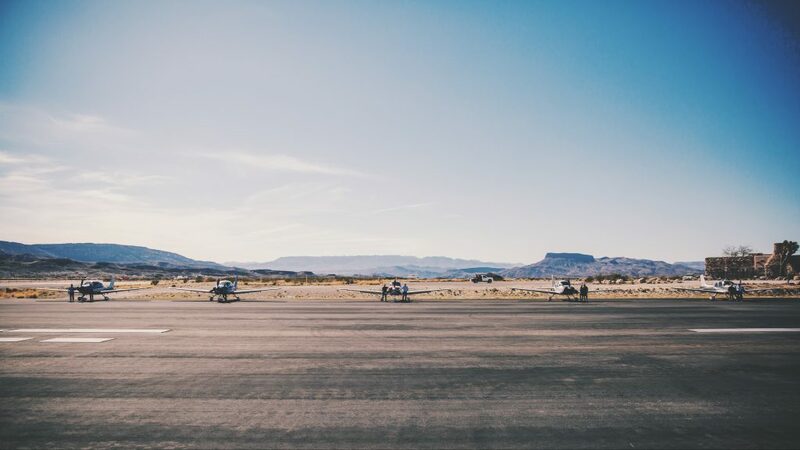 Complete with a 5,500 foot asphalt runway, VFR conditions most of the year, and reasonable fuel prices, Lajitas is the pilot’s gateway to the resort and the entire Big Bend area. If you wait until the fall, a brand new, 7,000 foot concrete runway should be completed and an IFR approach should be available. An AWOS is in the works too. The resort and airport are so far south, radar and radio coverage with Albuquerque Center is pretty poor below about 15,000 feet, and non-existent below 10,000 feet. This isn’t a big concern as any airplanes in the area should be on 122.9 and the airport manager will make contact with you, give you a weather report, and assign a runway. Once you are on the ground, there will be a resort bus waiting to whisk you and all your friends to the resort for your getaway. The 2019 Texas Top Aviation Lajitas Fly In was a big hit. We had 7 airplanes total: 5 Cirrus SR22s, 1 Piper Matrix, and 1 Citation M2. There were 15 attendees total, including 13 golfers. Everyone raved about the resort and the golf course. The only hiccup in the weekend was the cold front that blasted through on Friday afternoon, kicking up a lot of dust. Golfing on Saturday was windy too, but Sunday morning was absolutely perfect. Thanks again to the folks at Lajitas for the star treatment! Interested in participating in the next Texas Top Aviation Fly In? Contact Us or Sign Up for Our Newsletter and we will make sure you find out about the next one so you don’t miss out! I have the privilege of serving on the Malibu & M-Class Owners and Pilot’s Association Safety Committee. Along with 6 other Piper PA46 instructors, we were tasked with two things last year leading up to the MMOPA Convention in Colorado Springs last October. The first was to develop a Master Aviator Program (more on that in a later article). The second was to develop Operating Practices for the Piper PA46 fleet that we as instructors could all get on board with to teach the same thing, allowing everyone in the fleet to fly approaches and patterns the same way. When I started instructing in the piston Piper PA46 line (the Malibu, Mirage, and Matrix), I was surprised to find that there were no recommendations anywhere that I could find for approach and pattern power settings and airspeeds. This led to some experimentation on my part trying to find out what works well for the airplane. I had originally been given good training in a Malibu, but hadn’t flown one for several years, so my numbers were a bit rusty. I have been in the Cirrus world for a very long time. One thing I greatly appreciated from an instructing point of view about Cirrus was the abundance of guidance the factory gives instructors and pilots on how the airplane is supposed to be flown. All CSIPs and all Cirrus pilots should (theoretically) be teaching and flying the exact same way. I was quite surprised that Piper didn’t put out similar information. I wasn’t as familiar with MMOPA at the time, but was surprised they didn’t have any information either. I apparently wasn’t the only one with a desire to have a little bit more standardization. So, without further ado, here are the MMOPA Operating Practices that the Safety Committee put together. If you are a new Piper PA46 pilot, these numbers are what you will expect to use when you do your Initial training. If you are a seasoned Piper PA46 pilot, you probably fly these numbers, or pretty close to them already. These are tried and true power settings and speeds for the approach phase and landing phase. They work. That was the goal of the Safety Committee: put down in writing something repeatable to enhance safety. I believe we have accomplished that. From the time I started flying, I have always had the dream to learn how to fly a seaplane. As I learned in November, it’s actually learning to land a seaplane, and the veterans call them floatplanes. 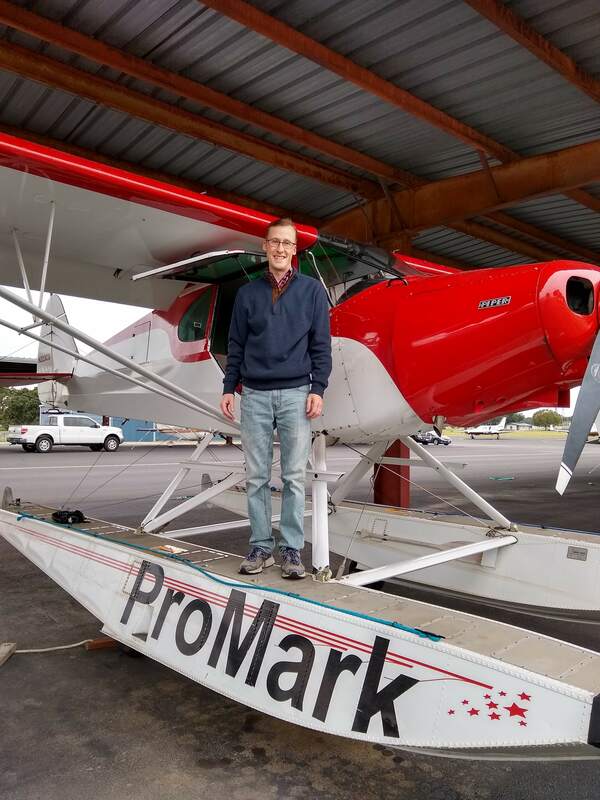 ProMark Aviation at the Burnet Airport (KBMQ) offers a weekend float plane course that is high on fun and low on stress. The school has a Piper PA12 Super Cruiser on amphibious floats (amphibs as I was corrected at one point. I mean, if you’re going to fly a seaplane, er, floatplane, you have to know the lingo) that will land and takeoff on water, but does little else with ease and grace. At 150 HP with those big floats and all the associated rigging hanging underneath the airplane, you are lucky to get to 500 feet before you get to your destination. We weren’t working on setting any speed records. I was learning the lay of the water. I learned about the step, the keel, pumping the floats, how to read the water, currents, ducks (yes, ducks and birds are important to know about when you are flying low on the water), buoys, docking, and ditching. Step taxiing was fun as you are basically at 3/4 throttle screaming across the top of the water just below flying speed. It’s the best way to taxi a seaplane (truly, it is. You get more air in your engine, you can see better, and you are moving. Just don’t try and turn sharp). Floatplanes also don’t have any shock absorbers, so the higher the wave, the more you get knocked around, so wind velocity and, in turn, wave height is very important. A very important nuance of an amphibious floatplane compared to a straight floatplane (one that doesn’t have wheels that come out of the floats), is at one point, you want to make sure your gear is down for landing (runway landing) and at another, you want to make absolutely sure your gear is up for landing (water landing). If you land wheels down in the water, you will capsize, 100% of the time. Thankfully from my good instruction, I did not capsize. Ken Wittekiend, my instructor, and I spent the majority of the weekend landing and taking off on Lake Buchanan (I was informed by locals it is pronounced “Buk-cannon”, not “Bue-cannon”), which is more open and therefore has more waves. We did one landing on Inks Lake so my kids could see me land, which they thought was the best thing since cheese sticks. There is a check ride at the end of the training, but, as Ken reassured me, it’s the most fun check ride you’ll ever have. I still hate check rides, but that one I think I hated least of all. I hope someday I can put my floatplane skills to practice, but for now, I can vouch that I now speak seaplane! Has it come time to buy your first airplane? Have the skies been calling your name? Or are you just tired of standing in the airport security line then getting shoved in a long metal tube with no leg room? Or, maybe you are a businessman who does business in remote areas that have local airports but are hard to get to commercially. Wherever your need is, you have decided it’s time to make a purchase. If you are familiar with aviation, you may have an airplane in mind that you would like to have, but is that the right airplane for your mission? If you are new to aviation, you may have no idea what airplane to go for. Here are some helpful hints in narrowing down the different airplane options out there to fit your specific mission. 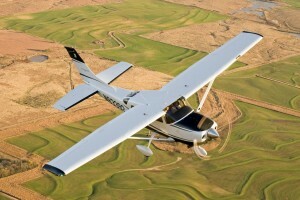 If you’re just a weekend flyer who is tired of dealing with flight school rentals, but you don’t need to carry a lot of people or go very far, your options are pretty numerous. Anything from a Cessna 152 to a Piper Cherokee, maybe a Beech Sundowner, or a Bellanca Viking, or anything in between. If you are content with taking a weekend hop for a hamburger at 100-110 knots, you have limitless options for airplanes. Tailwheels (Cubs, Citabrias, Huskies) are excellent birds for you well. Need to go 200-300 miles fast and not worried about weight? A Cirrus SR22T, a Columbia 400, or Cessna Corvalis might be just what you need. Cruise speeds on those are all around 180-190 knots at 10,000 feet. All are oxygen equipped if you want more speed higher up, as the service ceilings are 25,000 feet. Payloads run in the range of 400-500 pounds with full fuel. All these have air conditioning options, too. Hauling More Weight, but Still Need the Speed? A little slower (150-170 knots) but a little bit more payload options are A36 & B36 Bonanzas, Piper Saratogas, Cessna 206s, or Cessna 210s might suit your fancy. All come in turbo models if you are a high elevation dweller. The Cessna 206 has been used for many years as cargo and people haulers in remote regions like Alaska, South America, and Africa. I’ve even seen pictures of snowmobiles being carried in a 206. 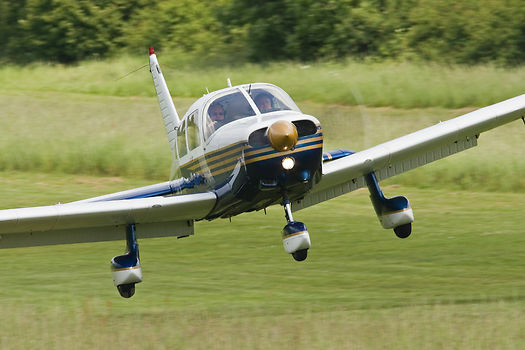 The next step up from a Cirrus, Corvalis, or Saratoga is the Piper Malibu. 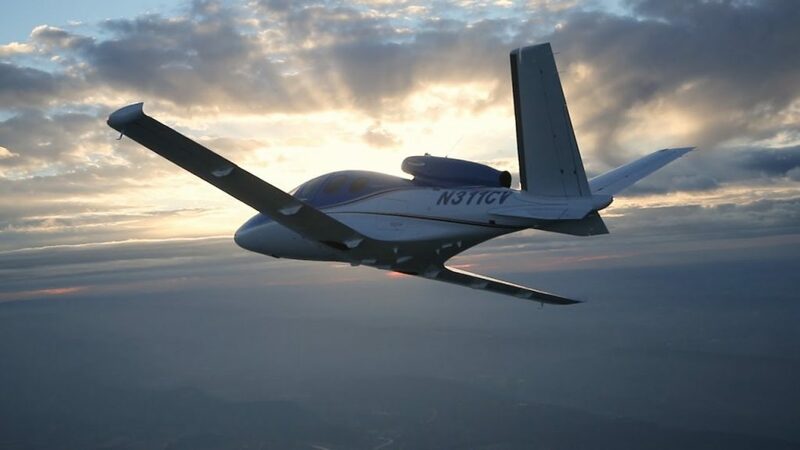 A bigger brother to the Saratoga, the different PA-46 models offer one of the best options for a single engine piston out there. All except the Matrix (PA-46-350T) are pressurized, all the pistons cruise about 200 knots, and all are configured with club seating with plenty of leg room. Useful loads range around 1200-1400 pounds (they hold 120 gallons of fuel, so payloads range from 480-680 pounds). The original Malibu (PA-46-310P) only burns 16.5 GPH so that allows partial fuel to be carried to allow more people and bags. All have 6 seats. Need to Carry Even More Weight? It’s time to get into the piston twin market, then. A Cessna 414, a Cessna 421, a Cessna 340, a Beech Duke or a Beech Baron are all pretty good options here. The 421 and the 414 have the largest cabins, while the Duke has the highest useful load. Cruise speeds range from 200-220 knots, but the cabin is roomier and you get a few more pounds useful load than a piston single. If you do get into a 421, get good training as they are equipped with Continental geared engines, which can be tricky to operate if you don’t know what you are doing. Need to Carry a Lot of People and Go Fast? Turboprops are the way to go for you. King Airs have the most utility while the Pilatus PC-12 is the cream of the single engine turboprop crop as you can put almost anything you want in it. If you have 4-5 passengers, stay away from a Piper Meridian as you can’t carry a lot of weight. Those are better for 2-3 passengers at the most (plus a pilot). The TBM 900 is pricey, but fast (300-325 knots). The original TBM 700 can be had for under a million bucks, you get 280 knots, and a very usable useful load. You still can’t fill all 6 seats with full fuel, but you can do more with it then a Meridian. Have a Boatload of Money Sitting Around? A jet might be for you then. Fuel, insurance, maintenance, and hangar costs are high, but jets will get you places real fast with room for all your friends and family.